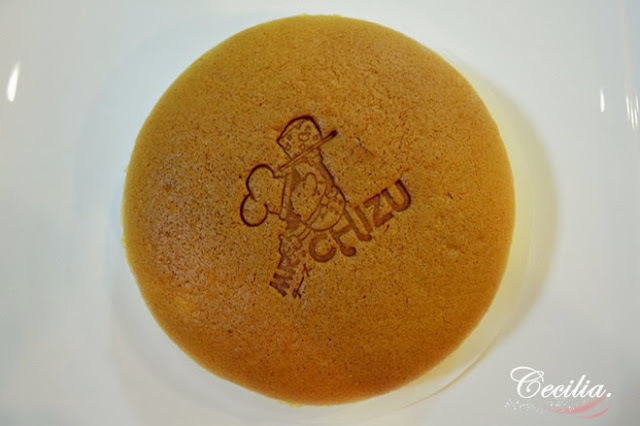 Yes, Mr. Chizu is a name of the cake, not the person. It mean by all the cakes is based on CHEESE!! For anyone is love cheese so much like me, Mr. Chizu maybe will be in your favourite list. There are 3 flavor is available in the pastry include original flavor, choco and matcha. They will introduce their new flavor - Orginal Raisin on January 2015. 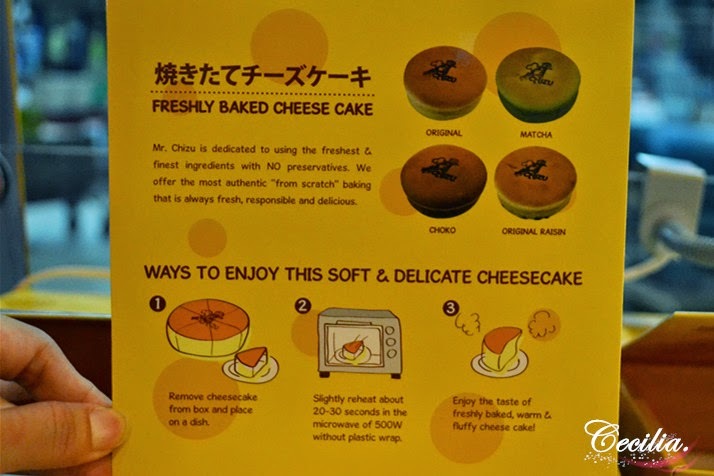 Cheesecake is the signature of Mr. Chizu from Japan where it is freshly baked everyday with finest and freshest ingredient without preservatives adding to the cheesecake. Before Mr. Chizu came into the picture, the bakery shop is almost selling breads within 3 years and the outlet was switched to as pastry shop from April 2014 where to highlight their half-baked cheesecake from Japan. The half-baked cheesecake is the best seller from the pastry shop. Alright, it not mean by the cheesecake if baked half while the left is not and sold to the consumer. 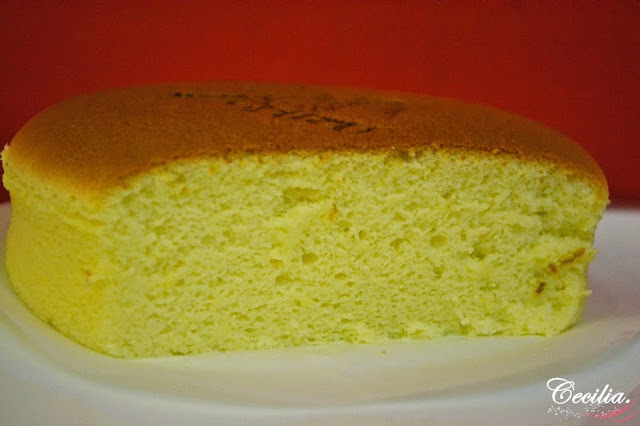 Mr. Chizu cheesecake is baked and steam together in the oven, so it mean with half-baked cheesecake. 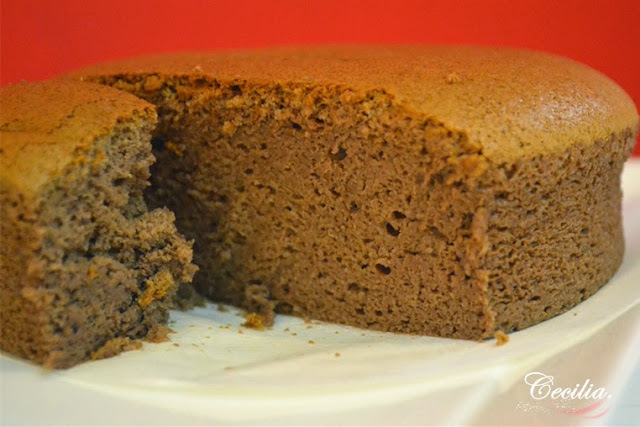 You can feel the softness of cheesecake and the texture is very good! I like their cheesecake because the cheesecake is moist and it is melt immediate only lingers in my mouth for a short moment. 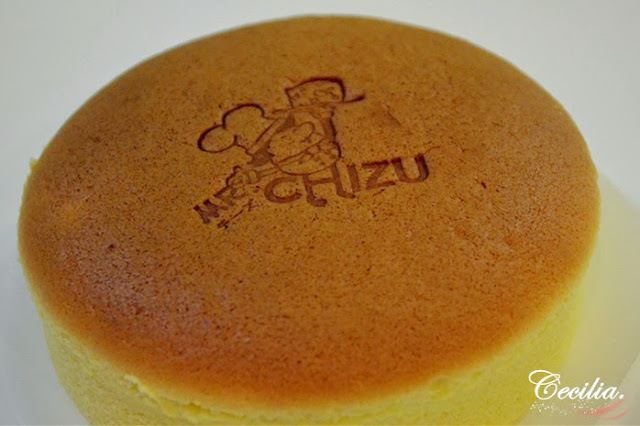 Thank you Co-founder of Mr. Chizu, Winston Lee allow me to visit how they are going to baked the cheesecake at their outlet. The staff is busy made cheesecake all the time when I at there. 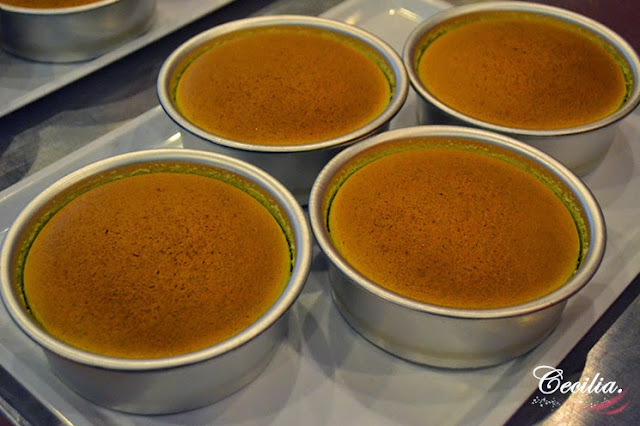 The cheesecake is priced at reasonable which cost RM13 for each. 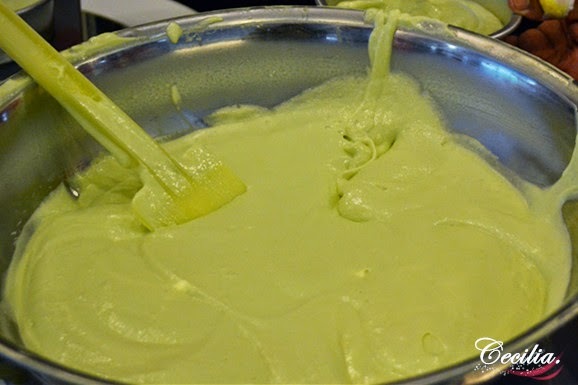 The cheesecake ingredient is made from the mixer shown in their kitchen. 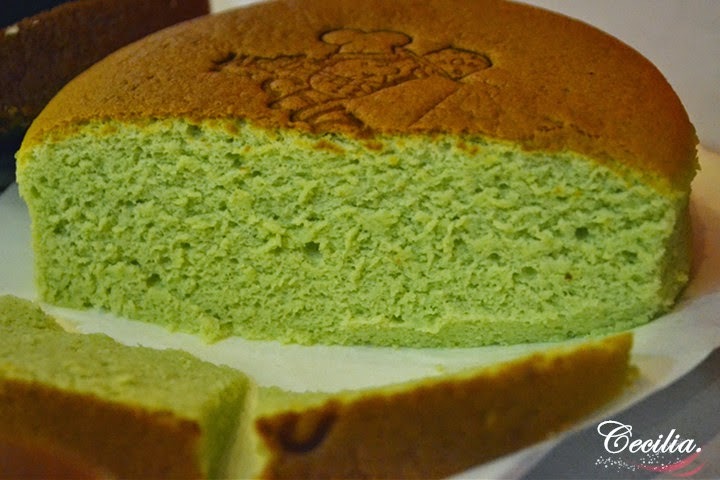 Well mixed of Matcha flavor cheesecake. Here the cheesecakes are prepare to going baked it. Yea!! It was done! You can smell how strong of the cheese flavor once they take out from the oven. You will irresistable it! 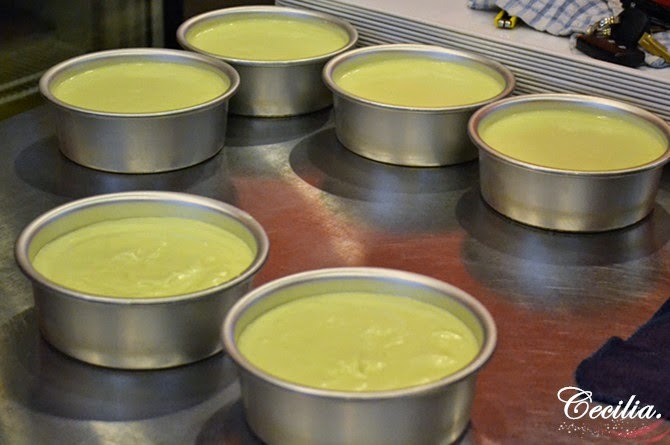 The cheesecake will be packed in their custom made box and you can see how intimate from them to provide tips to enjoy their delicate cheesecake at home when it was cold. Due the market demand and request from customer, the cheesecake is baked with low sugar where the sweetness being adjusted, slightly different with the original Japan cheesecake. If you are finding some cheesecake that not too sweet, Mr. Chizu will be your primary option. 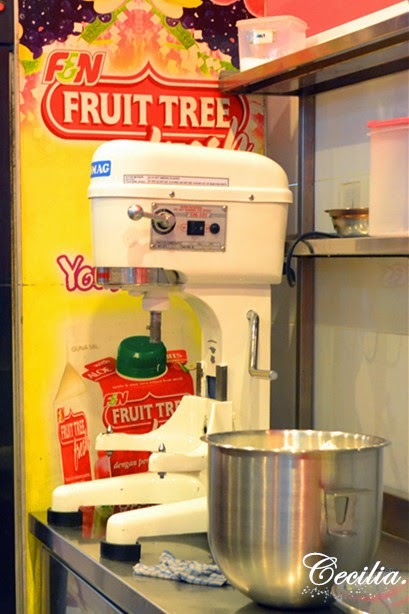 The oulet at NSK Trade City is only a counter that provide take away service to customer. 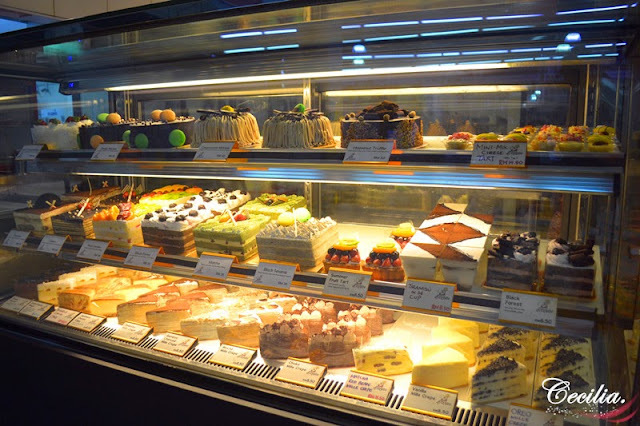 If you want enjoy your time with a coffee and their signature cheesecake, they are also provide few seating place in their outlet at Cheras Leisure Mall and The Mines Shopping Mall. Beside cheesecake, Mr. Chizu also offering others like mile crepe, tart, and swiss roll. In future, Mr. Chizu may provide delivery services to customer. You may download the Apps of Mr. Chizu from Play Store where the apps is provide the ordering services and you can pick up the cheesecake from the outlet you choose. How convenience of it? For more information, please do visit their Facebook and info below. Jalan Kuchai Lama, 58200 KL. 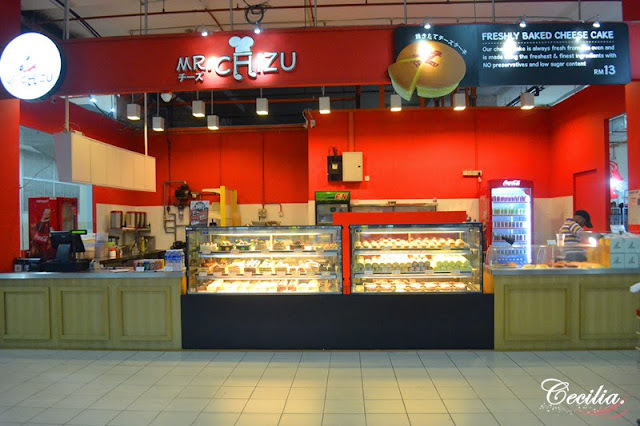 LG-17, Lower Ground Floor, Cheras LeisureMall, Taman Segar, Cheras 56100 KL.